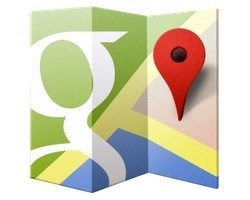 For all those that have not been thrilled with Apple’s new maps, you can rejoice that Google Maps is now available again. Download the all new version complete with voice turn-by-turn directions. Best of all it’s FREE. Chris Bowditch liked this on Facebook. Youth Ministry Geek liked this on Facebook. Robert Sherrill liked this on Facebook. Kevin Womack liked this on Facebook.